Give your old concrete a NEW look! With our unmatched reputation as the leader in fiberglass pool resurfacing, we are also the EXCLUSIVE SUNDEK DEALER for all of your CONCRETE RESURFACING needs. 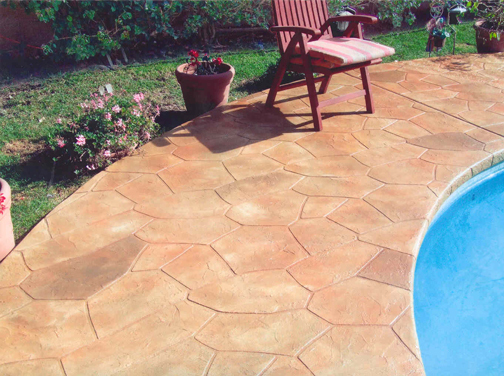 SUNDEK is the worldwide leader in the latest concrete resurfacing & decorative concrete options to treat your cement. 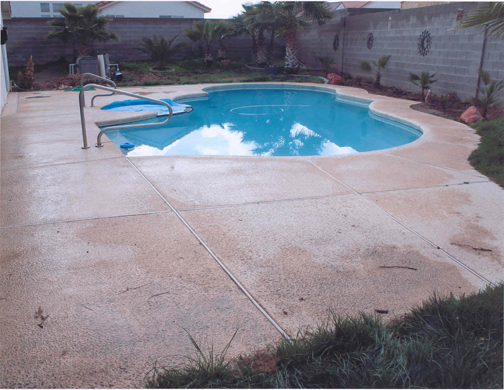 Learn more about our decorative concrete overlay services at our sister website, SierraConcreteResurfacing.com. Limitless Colors & Pattern Options available – applied by Factory-trained Experts! SUNDEK can design a look for your Concrete as unique as your individual taste – Classic Texture, Stamped Overlays, Stone & Masonry Effects and more! Transform your old Pool Deck, Patio, Garage Floor & any other Concrete area into a beautiful space you will be proud to show off! Call us today for a FREE EVALUATION and ESTIMATE -- (916) 773-1883. Thank you for making us your fiberglass pool coating professionals - and now the decorative concrete coating leader in Northern California!